Tremendously hit and record breaking movie of the year BAJRANGI BHAIJAAN starring super star SALMAN KHAN and KAREENA KAPOOR KHAN. The best movie from SALMAN KHAN for their fan followers. 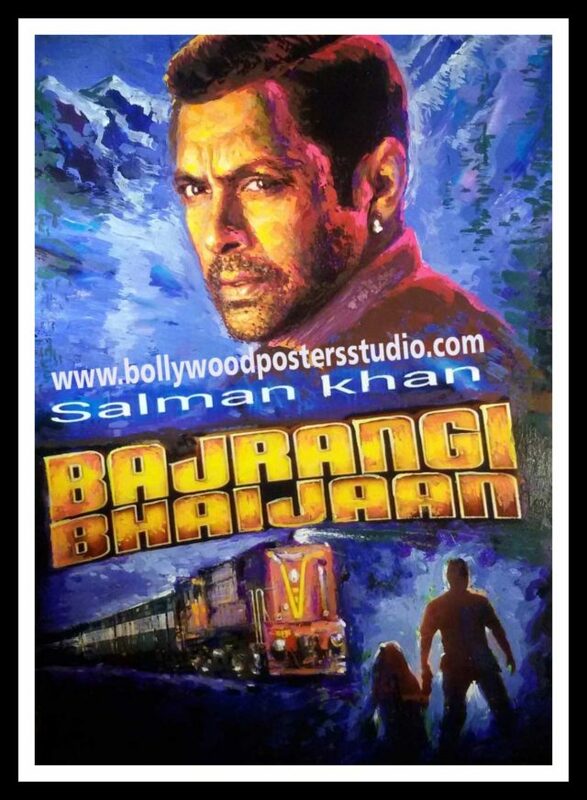 BOLLYWOOD POSTERS STUDIO got the opportunity to hand paint the BAJRANGI BHAIJAAN poster from their film fans. Hope BAJRANGI BHAIJAAN achieves more success in its way. BOLLYWOOD POSTER STUDIO too the biggest fan of SALMAN KHAN and SALMAN KHAN MOVIES.